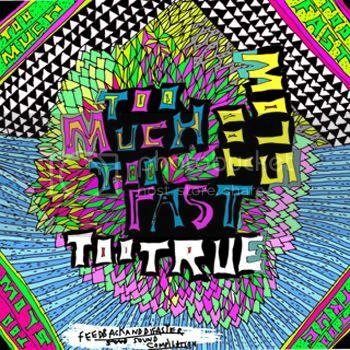 'too much too fast too true too slow' was a very nice project by feedback + disaster. the theme of the compilation was exaggeration and extremeness. during the second half of 2006, a new track was added every 2 weeks. it is still online, and you can download all the tracks here. in mid-2007, a cd-version of the compilation was released on true call. you can order it either there or via feedback+disaster. the track i contributed is called 'from sliceland with love'. you can download it here.